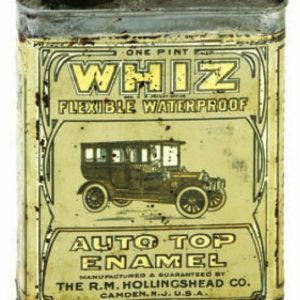 Early tin litho 2-ps. product tin for Whiz brand “Kleer Glass” auto glass cleaner featuring nice image of Co.’s elven characters polishing early car windshield. Attractive and displays nicely w/ a little minor soiling and light wear (C. 8/-). As found, might improve w/ cleaning. SKU: AA2-130. 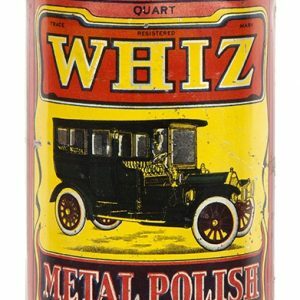 Category: Antique Tins. Company/Brand: R.M. 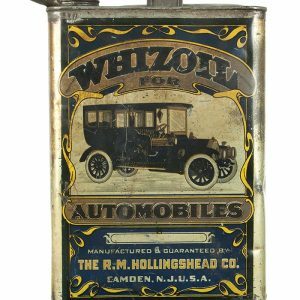 Hollingshead Co., Whiz Kleer-Glass. 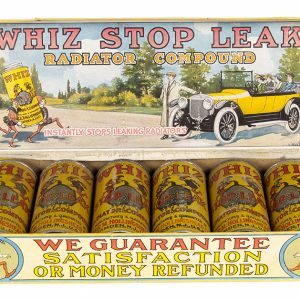 Whiz Kleer-Glass Cleaner Tin: Early tin litho 2-ps. 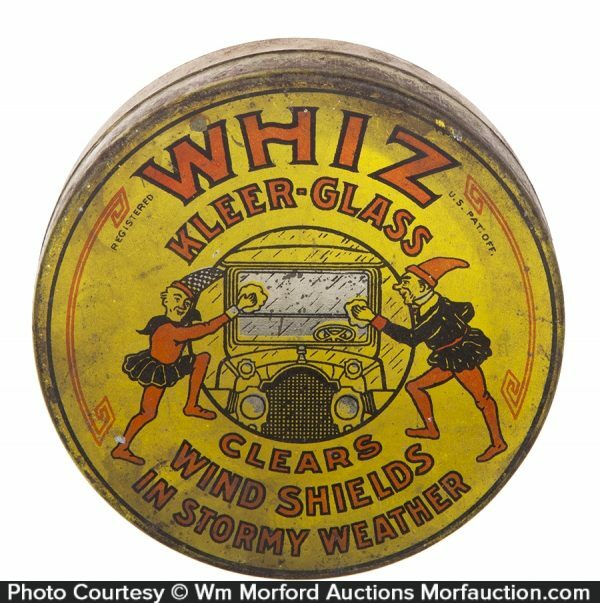 product tin for Whiz brand “Kleer Glass” auto glass cleaner featuring nice image of Co.’s elven characters polishing early car windshield. Attractive and displays nicely w/ a little minor soiling and light wear (C. 8/-). As found, might improve w/ cleaning.